Bosco’s restaurant, Major Stokes, is named after William Axon Stokes, who lived in a mansion now known as St. Mary’s Hall. The restaurant and bar will embody the history of this unknown figure. Photo courtesy of J.Bosco. Bosco plans to open Major Stokes, his restaurant and bar, in Greensburg, Pa., around Easter of 2018. Major Stokes will be located at 108 West Pittsburgh Street in downtown Greensburg, directly next to Hugo’s Taproom. The space was formerly RJ’s Lounge and originally the first hospital in Greensburg around 1880. 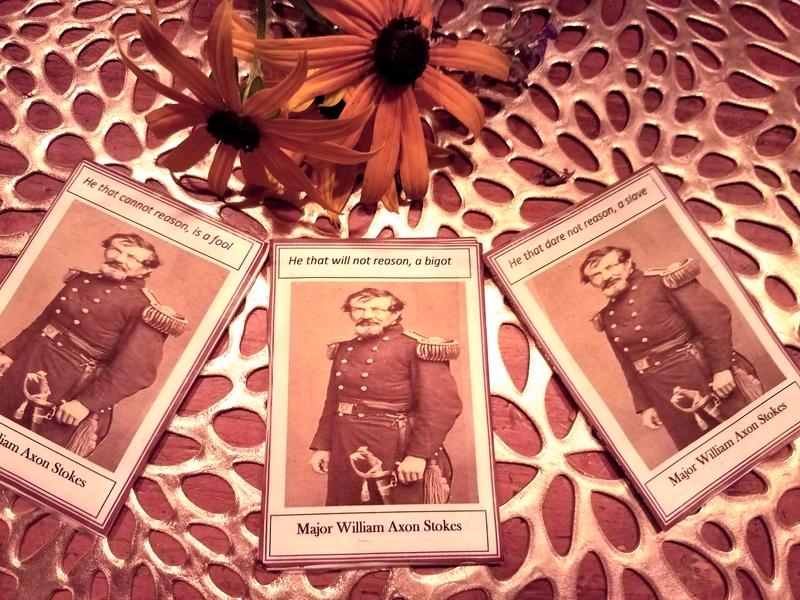 Major Stokes is inspired by the history of Williams Axon Stokes who some may not know about. “There will be a little historical vibe to it and I will educate people about Mr. Stokes. That will be part of the lore of the restaurant of the underlying story,” Bosco said. 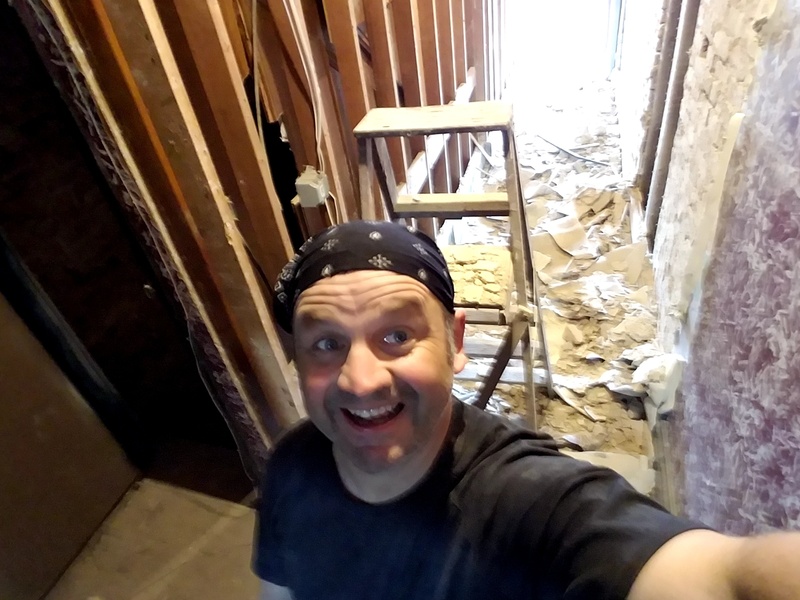 Bosco takes a break from the hard work of getting his restaurant ready to snap this selfie. Photo courtesy of J.Bosco. 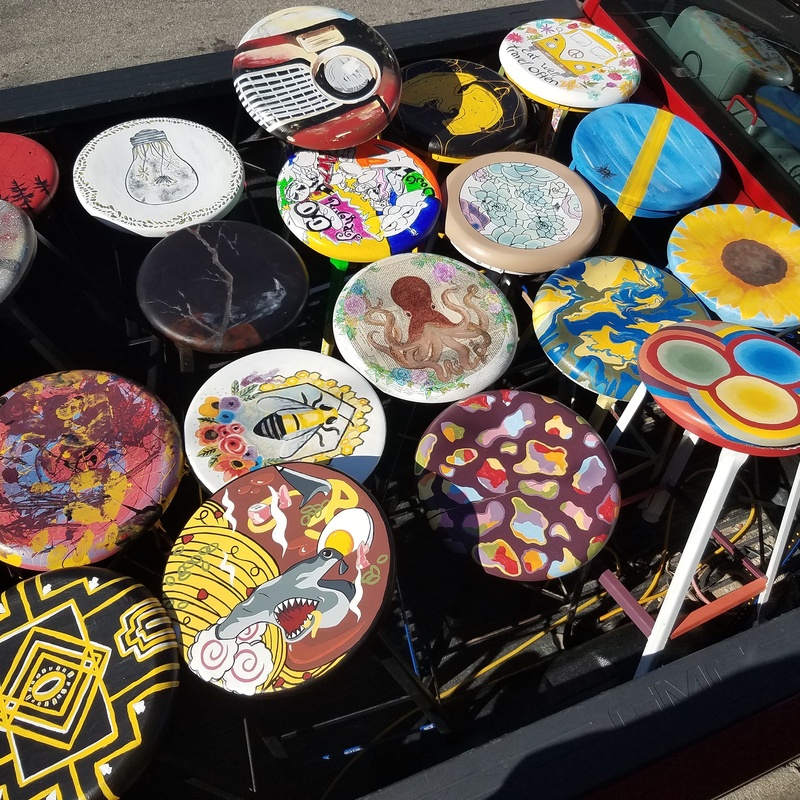 The SHU Art Club hand-painted stool tops for the bar. Photo courtesy of J.Bosco. 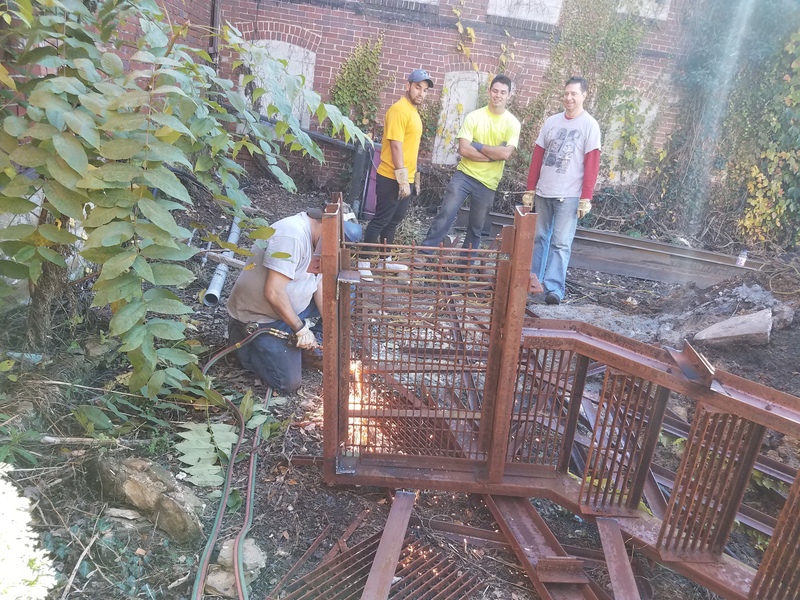 Jose Lopez, a current SHU student, and Christian Bosco, SHU alumnus, work on repurposing cut metal from an old fire escape for shelving and tables. Photo courtesy of J.Bosco. Bosco is marketing his restaurant to all types, from business professionals during the day, to SHU students in the evening.